This is an article I’ve created together with Robert Dukes. With this article, we aim to offer some insight in the process of using reference when creating 3D art. The reference process can be broken down in several key stages. The first stage being the obvious making a choice of subject. Even though this is not always possible, for example as an artist working in a studio, it is important when creating a portfolio piece to show off your skills at their best. When choosing a subject freely, something that you want to recreate as awesome as you possibly can, there’s no doubt you need to be interested. Not being interested in what you create is almost certain to result in a sub-par result. So don’t just choose “some random car” without caring for even its brand or model year, don’t just pick an AK47 as weapon because that’s what everybody does and it seems easy. Pick a subject that caught your attention and makes you imagine driving, shooting or using it ingame when you’re only just looking at a picture of it. To help make your choice easier, look up textual information about your subject. Finding out information on your chosen subject, learn about it. How it works, what it’s made of, what its used for, why it exists, who uses it, what different types there are, anything you can find out is good. This might help to spark your interest and motivate you, as, for example, you find out that there is only one type of this car in the world, that this weapon was a revolution when it was first created or that your subject played part in a critical stage of history. 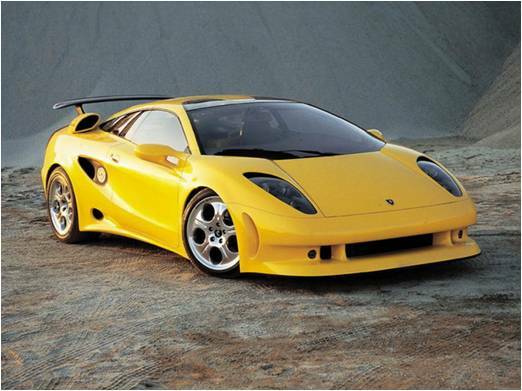 The Lamborghini Cala is a unique prototype car. Only one was ever built before the entire project was cancelled. A difficult but rewarding subject. The OTs-14 Groza is a bullpup variant of the popular AK74 assault rifle. Very interesting visually and not as common as the omnipresent AK. Gathering reference is the next step in the process, but you should actually already be gathering reference material when researching info on your subject. You could even be performing this step for a project you’re not even sure you will ever create; having a few folders of material on interesting subjects is great for when you’re looking for idea’s. Your main source is of course Google image search. You can probably get around just searching here, but it can be interesting to search on another website as well. Searching by tag on flickr.com can provide some interesting results on certain subjects, especially environments, but you’d be surprised what else can turn up in people’s photostreams. When researching real life locations, google maps and google Streetview can be an amazing help. There are also websites dedicated to photos of specific subjects such as sport cars, military equipment or locations. There’s more than just internet! Books, magazines and papers can provide great reference that you just won’t find on the net. 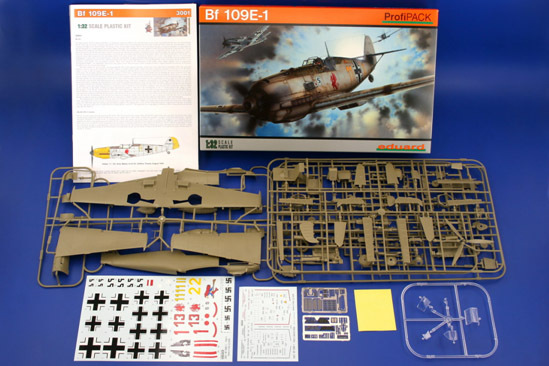 Buying a model or replica of whatever you’re creating can be great since you’re holding things in your hands (just remember it needs to be accurate as well). You can take this further by actually going out for the real thing. Visit a car dealer and ask them if you can take pictures, an airsoft or real weapon store for (replica) weapons, visit a location similar to your subject, or even the real thing. Just remember to be polite and explain why you want to take pictures. A model kit is great reference since you can look at any part from any direction. 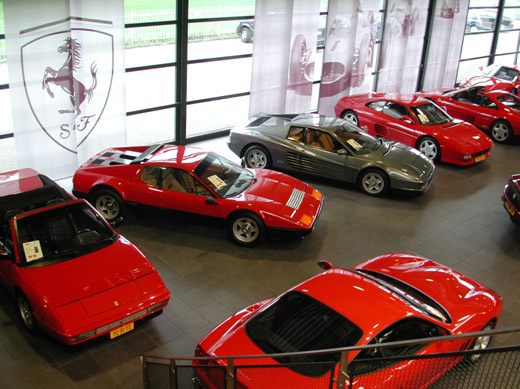 A sportscar showroom might seem like a posh place for a mere 3D modeler, but just asking in a friendly way could enable you to take fantastic reference pictures of your subject. Often forgotten by many people: organize your materials! Organizing your images into folders can be annoying at first but will definitely pay off in the end. A good way to do this is by creating at least a “/Reference” folder in your project’s directory. Splitting this folder up into others can help once you start to have a lot of reference, for example “/Reference/exterior” or “/Reference/wheels”. If you have blueprints, create a special folder as well, since these are special images you want to find easily. Just imagine trying to find that one image of an engine wire, in a folder full with hundreds of other images of car parts, body panels, interior shots, renders, rims, wheels… If only it was in the “engines/parts” folder! Folder Structure that will help organize your images and help you find exactly what you are looking for when ever you need it. A very important thing to pay attention to is the quality of your reference material. The higher resolution a picture, the more it will help you. Make it a rule for yourself not to use images below 1000 pixels wide as main reference, unless you absolutely cannot find an alternative. Google images’ search options are very helpful here. Also pay attention to aspects such as focus, lighting and camerangle, since even high resolution pictures can end up out of focus and underlit. 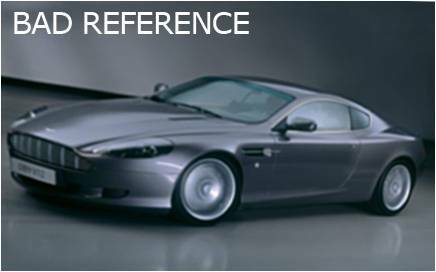 Ideally, you want every aspect covered by your reference. So try to gather good pictures of every single angle and detail. Even if you think you have everything, it’s still possible to run into a part that just isn’t clear on any of your reference pictures, forcing you to go look for more. It can also be extremely helpful to look for technical diagrams, exploded views and detailed blueprints of your subject. Seeing what’s exactly beneath the surface is very helpful. Remember: you can never have enough reference! Reference is not just mindlessly saving every high-res picture. It requires thinking and analysis to make the most out of it. This is very vital to make the most ut of your reference material. When collecting reference, minor differences can become apparent. Some cars have a scoop on one picture and not on the other, a gun can have a slightly different grip text on one website while it does not on another. Try to find out why this is so you can decide what reference is more accurate, or which version you want to create. Mixing up two different versions of an object can come out pretty strange if you didn’t pay attention to this fact. These two reference pictures of the Ferrari F355’s engine bay show that even for the same type of car, differences can occur. You should try to keep these in mind. When creating something large and complex, factors such as workload are something an artist needs to think about. In such a case, it’s important to look for common elements that are key for resembling the reference. A city can have hundreds of different types of cars, but it’s smarter to decided to build a few that are very typical for that region. For an American city, you should choose to make the very typical, big American vehicles, for an Italian city smaller, Italian cars are better suited. This can be applied to any sort of large scale project, where smart choices need to be made to optimize workflow and still guarantee accuracy and recognizability. 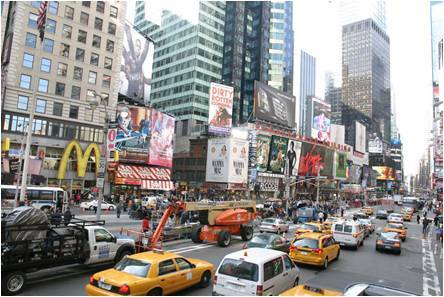 A city scene in New York might seem daunting for the sheer number of different assets you see on your reference. 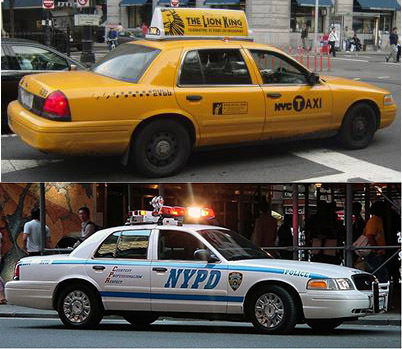 However, analyzing reference, one can see that the yellow Ford Crown Victoria taxi’s appear all over the place. What’s even better, is that with some small model changes and a retexture, you can create a typical NYPD cop car from the same model. 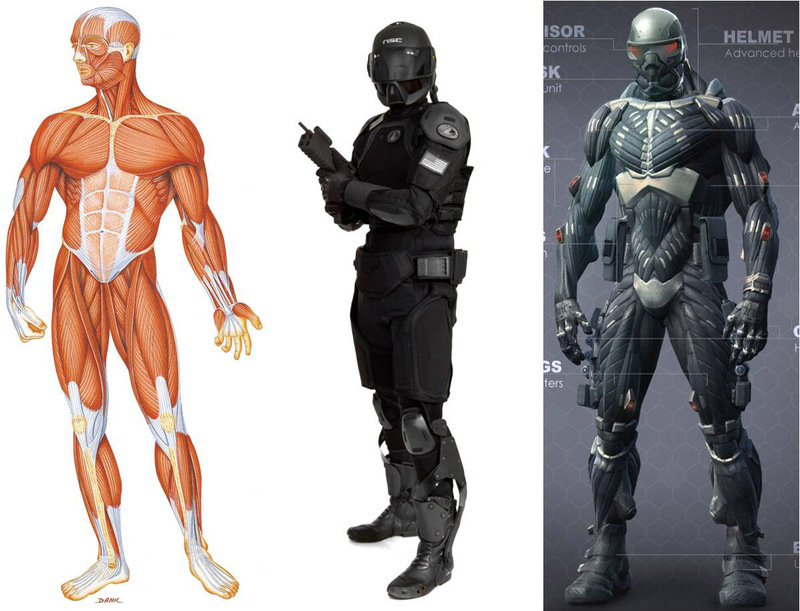 A special case of reference usage, is when you’re creating your own, fictional subject. This can be seen as the next step of generalizing; you’re mixing and matching reference to create something new. A big mistake many people make is using little or no reference when creating their own designs. Reference is just as, if not more important when creating something fictional. When creating something existing it’s easy to make accuracy mistakes when not paying careful attention, with a fictional subject things can go wrong even quicker. Creating your own design should not be taken lightly. For beginning artists it’s best to stick to accurately recreating an existing subject. You maximize your chances of success and avoid common pitfalls. You practice modeling accurate, an important skill, and after a few projects you’ll start grasping what is it that makes a 3D object look good and correct. There’s just no point in loosely basing yourself on a real subject, without putting thought in the changes you’re making. The end result will most probably end up looking like something’s off (lifting the viewers’ suspension of disbelief), to just plain out weird and wrong. When Crytek designed the fictional Crysis Nanosuit armor, they strongly relied on reference such as human muscles and future armor suits. When you finally have all your reference and put all the thought and care into it, you can start creating your object. Remember, the amount and quality of reference as well as the thought you put into it can largely determine your ultimate success. Make sure you don’t trip over the critical first steps! Pretty much all you’ll be doing, is comparing your current work with the reference you’ve collected. It’s safe to say you should never model without your reference folder and an image viewer open at the same time. This stage of 3D is one that is very thankful for a second monitor; your 3D application on the first monitor, image viewer with reference on the second monitor, to allow for constant synergy between the two. For everything you’re not sure of when modeling: go back to your reference and compare. Even the thickness of a tube, the roundness of a corner or how strong a slope is, will require you to look at reference. If your reference proves insufficient: go out and find more. A great tip is to position the 3D model over a reference picture and try matching the camera FOV and rotation, to compare how different the model is from the reference. This allows one to see exactly if the model is out of scale or does not have the correct proportions. As you can see this Subaru WRX does not look anything like its real world counterpart. Sure, it is resembles it and you can see that its a “WRX” however there is not much besides the base shape that makes this car on the left a WRX. This article should show you how important reference is to a 3D artist when re-creating real life objects or even his own ideas. Trying to do things from the top of your head is not the ideal way to create 3D art because we forget, neglect and misinterpret things. Having reference, organized and plentiful, is a great way to ensure to ensure you create your 3d art exactly the way you wanted to from the beginning. Success starts at the beginning!